Scrub, lather, and enjoy these picks, all packed with pumpkin. It's that time of year: Pumpkin Spice Lattes are back and grocery store shelves are filled with pumpkin everythingâfrom Oreos to hummus. Another place you'll find your favorite fall treat? In the beauty aisle. The fibrous orange flesh is used in some of the most potent skin- and hair-care products, thanks to its terrific smell and secret anti-aging powers. Scrub, lather, and enjoy these picks, all packed with pumpkin. The pumpkin scent is spellbinding, but this ain't no witches brew. 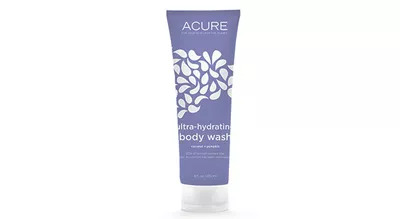 Itâs formulated with sugar beet extract for a gentle wash that conditions, too. Or, for a relaxing treat, pour some into a bath and make bubbles. The sweetness will linger lightly on skin and hair throughout the dayâin a good way. This wash combines the best of both worlds: the sweet smell of summer (think pina coloda) and the richness of fall (pumpkin lattes!). Moisturizing oils leave skin soft and supple. This multitasker does the job of your shampoo and conditioner so you can skip a step in your AM hair routine and hopefully have enough time to make a Starbucks run. It leaves your hair squeaky-clean without stripping strands of natural oil and lusterâand smells wonderfully delicious! 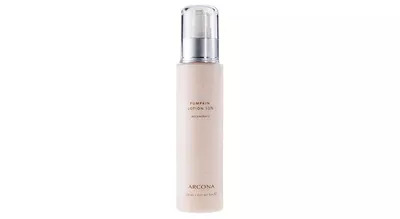 This creamy lotion boosts moisture and improve skin's texture and tone, thanks to a dose of glycolic acid. It absorbs quickly without leaving behind sticky residue and smells amazing. A combo of nourishing pumpkin seed oil and hydrating jojoba oil leaves hands soft and smoothânot greasyâand helps heal dry cuticles. Licorice leaf extract is also a real treat; it may help even tone and fade dark spots. 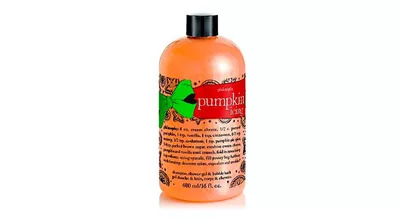 The scent is subtly sweet without smelling like you just won a jack-o'-lantern carving contest. 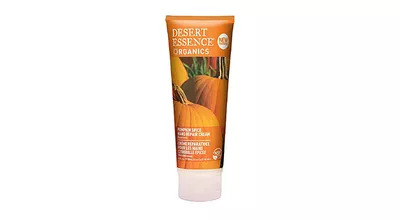 Pumpkin extract hydrates and smooths chapped lips while cinnamon plumps. Bonus: It tastes good enough to eat! Swipe it on before you apply lip color or on its own for natural-looking fullness. The tingling sensation? Thatâs just the cinnamon bringing on the plump. 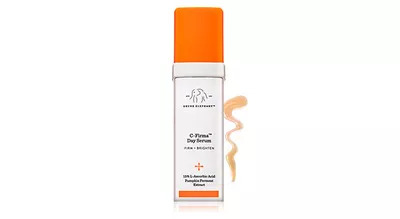 Packed with antioxidants (pumpkin ferment, pomegranate enzymes, and ferulic acid to name a few), this super serum helps fight off the UV- and pollution-induced free radicals that break down collagen and elastin. Use in the morning after washing your face for softer, firmer skin and to protect it from future damage. 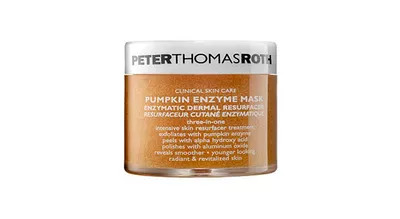 The enzymes found in pumpkin have gentle exfoliating powers that will help remove dead skin cells to reveal a brighter, more even complexion. Apply this grainy mask to clean skin and let sit for 3-7 minutes (depending on skin sensitivity) before massaging rinsing with warm water. 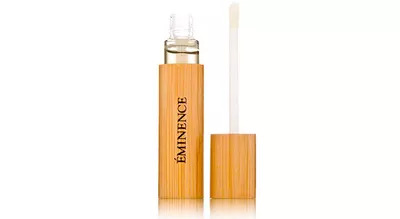 It gets skin so glowy you'll want to use it more than the recommended two to three times a week, but don't get too carried awayâeverything in moderation right? 'Tis also the season for cold & flu! 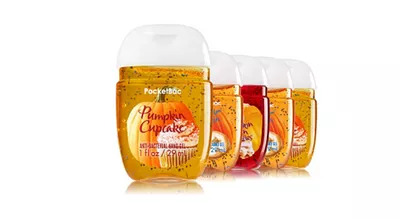 These hand sanitizers come in three yummy scents: Pumpkin Pecan Waffles, Pumpkin Cupcake and Pumpkin Marshmallow Latteâno typical overpowering alcohol smell here. Formulated with conditioning agents, they leave hands feeling clean and soft, never tight and dry.